One of the benefits of a short musical attention span used to be that you could sell your out-of-date CDs, tapes and LPs on once you'd got over that disco phase (see also: nu-rave, techno, trip-hop, opera), but in the digital era, once you've bought an MP3 you're kind of stuck with it. Or, at least, you were before ReDigi came along, a new service promising to recycle your digital media via an online marketplace. 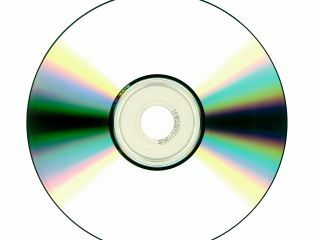 The cloud-based system allows you to buy and sell music for no extra cost, with the company's Verification Engine ensuring that only digital files you've legally bought are used on the site - so no songs copied from other people, no files ripped from CDs and, presumably, no dodgy recordings of your friends doing karaoke. To verify your tracks, you have to upload them using ReDigi Music Manager, which is a simple drag and drop affair from iTunes, Windows Media Player and the like. The music manager also makes sure that only one file remains in transit - so you can't make copies of the digital file, it's moved from library to library as it's sold on. But from the bands' points of view, doesn't this just amount to single-share file sharing? Not so; ReDigi says it gives "a significant portion" of its proceeds from each sale back to the artist. Also for sale are brand new tunes, with a library of over 11 million songs apparently available to buy. It's still in limited beta, so you'll need an invite to start using ReDigi, but with over 92,000 followers on Twitter, we don't imagine it'll be too short on users when you finally get in.